March 26: 5 POWER Lessons From 5 Leaders Who Made History On This DAY! Remember, an achiever is no different from a common man. The difference may lie in the way he/she perceives life. Read on to know more about what took these 5 leaders towards success. Always remember that you must mold your mind and the thoughts of it. Never let it control you! The actions and the steps you put forth, reflects the decisions you make: what your mind says or the opinion which you frame. The creations you create must be initially done in your mind, this more or less acts as prototyping and later it is tested under the grounds of reality. Never measure your innovations and inventions because they are thongs beyond materialistic measurements. Othmar Hermann Ammann sculpted all that he wanted to see in the real world by dreaming it and improvising it by adding the shade of imagination. Swiss-American structural engineer mainly focused on bridge designs such as the George Washington Bridge, Verrazano-Narrows Bridge and Bayonne Bridge. The director of New York City's Lincoln Tunnel, planed and constructed it. Founding his own engineering firm, he stuck to his passion of erecting designs and loved what he did. Rejections never became a reason for his journey to slow down. Though his proposal for financial support for one of his works was rejected, his continuous efforts to achieve flawlessness encouraged the money lenders to approve the necessary aid which he had asked for. Many of his works scored immense compliments and appreciation. It was all a result of his dedicated urge to learn and gain perfection. The grand secret behind achieving goals is nothing but capturing the ways that take you there. Opportunity acts as a beacon to hold the path towards your destination. Hence, it gets nurtured and nourished when you recognize it and utilize it in order to build your life. Interesting thoughts and ideas are sure to found your success but accepting and working on right opportunities founds the path which leads to it. Every minute of your life devises certain very sensible and sensitive messages; you never know, they may help you get guided and that is exactly what is called, the inner conscience. 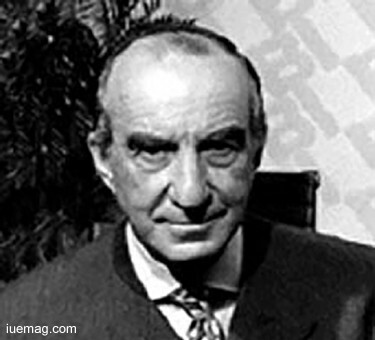 Guccio Gucci was an Italian businessman and fashion designer, the founder of The Fashion House of Gucci, who wisely identified what could make him succeed. He followed the same because fulfilling life ambitions seemed more important than anything else. However, opportunities come and go but remember that the same opportunity never repeats. A lift boy at the Savoy Hotel in London was inspired by the elegant upper class guests. He channelized his life as a whole into the direction of hiking up the quality of life style, fulfilling the dreams and achieving his desires. The luggage of reputed companies motivated him to start making travel bags and kits. Interesting acts and skills attracts the doer and so, he quickly gained proficiency in this job and founded House of Gucci. Many of us have crazily different ideas which when implemented may give you all that you want. Immediate and well planned actions don’t just add value to your ideas but actually gives life to them. Since the world today craves for innovations as it is bored of routines, you will be the most wanted and reputed achiever holding the most respected position because when you have something that erects the world’s growth, then it is of course that you will be looked upon for the change to happen. 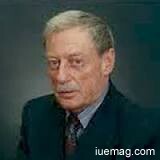 Edwin James Turney acted in accordance to his idea and gave life to Advanced Micro Devices. He can be referred to as the executer for gaining success since long lasting revolutions take their form and retain purity and identity. It is when the significant ideas you have, reach the reality, that your dreams get fulfilled which is applicable to your ideas as well. He in fact explored and worked on everything possible to get promoted in life. After his military service, he worked as a technician, sales engineer and lot more. The vice president of sales and administration, he proved his skills and his company was the leading RAM manufacturer worldwide. As a result of which He was awarded the EFFIE Award for his advertising campaign. Your mind has potential beyond imagination. We don’t even have the glimpse of what our minds can do. After all, it is the ability of retaining the truth of the reality and moving towards success which molds what you are supposed to do. Predictions and solutions are the everlasting aids which are derived from thinking, understanding and imagining. Your cognition and creativity please the wonderful real time developments to occur in the society. None are blessed with direct answers, it is completely our part to use the power of visualization, and every divine tinge of our brain to that lets us arrive at a lot of truths which otherwise remain dormant. 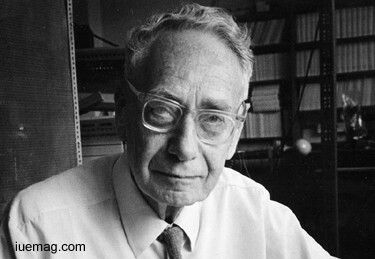 Sir Bernard Katz, a German-born physician and biophysicist is remembered for his contribution to nerve biochemistry. 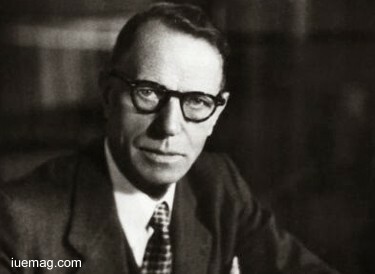 Sharing the Nobel Prize in physiology or medicine, he actively researched to uncover basic information about synapses. His studies and usage of skills and knowledge were all already gained. He revealed ample about physiological processes happening in the human body. The prior circumstances and after effects clearly depicted the path he took to indulge the essence of the feel in reaching the destiny. The quality of intellect is always a part of each one of us. But many don’t dare to find out ways which helps show the world one’s own intelligence. This is something which must be strictly avoided because unless you try, you never get a chance to prove yourself to the world so never hesitate to think and put your thoughts into reality. When there is something called good, then obviously there is something called bad as well in this society. It is not always that you are attracted and taken forward by positivity alone. So in order to experience progress and head towards optimism, you must dive into the ocean of faith, righteousness and transparency. Your thoughts shall be valued only if they are implemented to convert them into actions. Your actions further define where you are heading towards and what you are going to achieve. 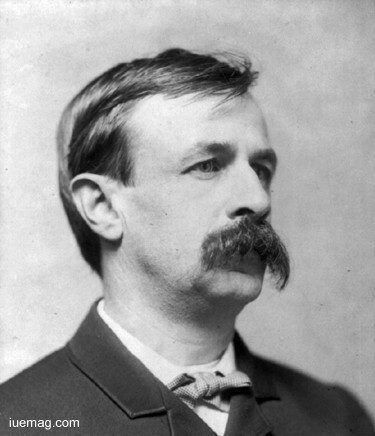 Edward Bellamy became a reason for the creation of more than 165 "Nationalist Clubs" engaged purely to implement his vision and ideas to not just propagate in the world but also to bring them all into reality for actually exercising them. Execution is the next step after thinking and visualization which was completely meant by the step he took. Suffering from tuberculosis at a young age of 25, he ensured that his life for accomplishing the dreams remained undisturbed. Hence, he took up journalism keeping time and health constraints. The next important milestone of his success journey was Looking Backward, a utopian science fiction which caught a lot of public attention and gained him literary recognition. The journalist and author worked as an associate editor for the Springfield (Massachusetts) Union and then as an editorial writer for the New York Evening Post. Every time you wish to achieve, ensure that your wish remains a serious subject of focus. Take back new lessons and add a new dream into the list while you introspect where you are now and where you want to be. Any facts, figures or references stated here are made by the author & don't reflect the endorsement of iU at all times unless otherwise drafted by official staff at iU. This article was first published here on 26th March 2017.